Today is a beautiful day. 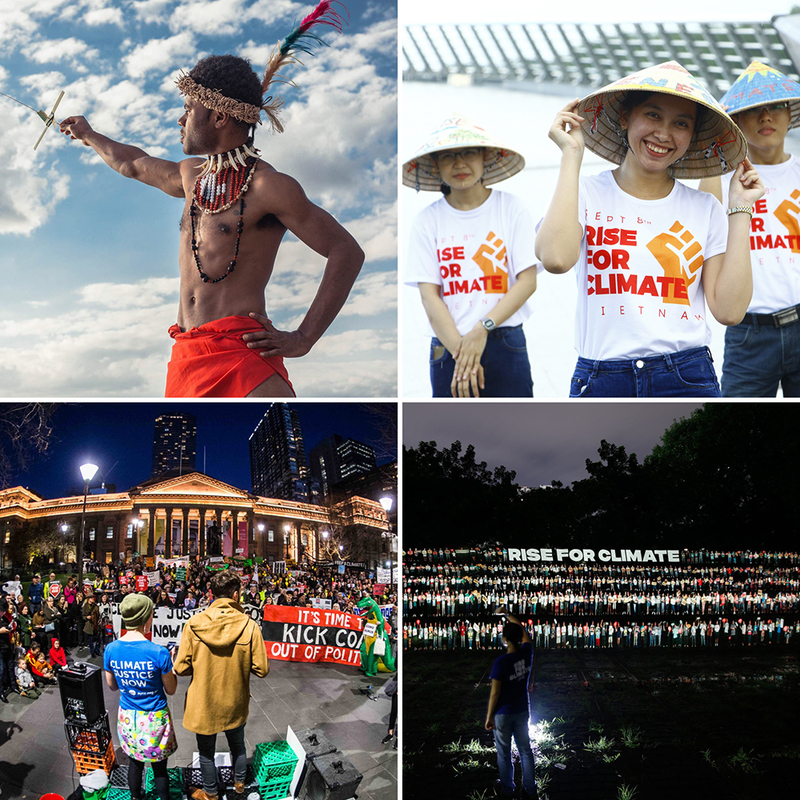 Together we Rise for Climate in 877 grassroots actions in 93 countries, and as the sun rises around the world, you too can follow the wave of actions unfolding around the globe. Already at sunrise in the Pacific, a ship set sail around the Suva Bay in Fiji, with elders sharing stories of the power of wind energy. In Manila, there was one of the world's first "virtual" marches to represent people who couldn't be there and a massive women's march for climate justice. In Uganda over 15,000 children took part... in a Rise for Climate rally while in Australia and New Zealand, over 50 actions took place at Town Halls, Universities, and banks. And the rest of the world is just waking up now and getting started. This is real climate leadership in action -- and the courage, resolve and creativity of people standing up for our collective future and a Fossil Free world is awe-inspiring. We're rising because the need for action has never been more urgent. We're rising because this is about justice. We're rising because we know what needs to happen: we need every local leader to commit to a fast and fair transition to 100% renewable energy and to stop new fossil fuel projects. And no more delays. Follow the actions as the day unfolds around the world, and please, share. Because #RiseForClimate is not just about today, it's about kickstarting a wave of grassroots action and building the movement that will pave the way to a Fossil Free world.